What you, I, and fleas have in common? We all like fluffy stuff. You and I love our fluffy dogs and cats, don’t we? Well, fleas like our dogs and cats, too, though for different reasons. But, what is the difference between us and fleas? We give our pets love and we get love from them in return. While fleas give them (and us) itchy bites and take blood. Not a fair trade at all, I’d say! Hmm… But there’s one more thing that we like and fleas don’t: flea repellent essential oils. Aha! Got them! How to save our pets, house and ourselves from a nasty flea invasion? There are many insecticides and flea repellents out there, but they contain poisonous, highly toxic and health-impairing substances that harm humans, pets, and the environment. Let’s toss the chemical repellents and invite in our lives the best essential oils for fleas instead! 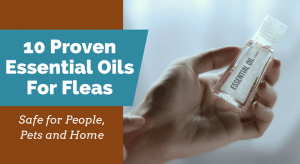 There are many natural ways to get rid of fleas, and essential oils is one of them. Essential oils have anti-parasitic, antibacterial, antifungal, antiviral, anti-inflammatory properties, so they are the perfect shield and weapon against nasty insects that pester you, your pets, and your house. Cedar essential oil is by far the champion in its category. Why? First of all, not only it repels fleas, but it also kills the jumping suckers immediately on contact. Secondly, it does not only repel and kill fleas, but also other pesky unwanted insects in your house such as mosquitoes, lice, mites, ticks. And thirdly, it can be safely used on dogs and cats. Eucalyptus oil is known to have anti-inflammatory, antibacterial, antiseptic, insecticide, and bite, sting, and wound healing properties. It is frequently used as a natural treatment for fleas and other biting bugs. Geranium is an essential oil with one of the strongest actions against fleas (and other insects). To you, it might smell sweet and nice, but to fleas is a major repellent. You can safely use diluted Geranium oil on pets, too. Not only a relaxing and calming oil for humans, lavender oil relaxes fleas, too. They relax so much that they quit jumping on you and your pets. Joke apart, lavender oil proved to be a great flea repellent oil. So, use lavender oil against flea successfully and relax as they will disappear just like magic. This minty oil works very well against fleas and also against mosquitoes, ticks and other buggy bugs. Peppermint also soothes itching flea bites, due to its high menthol content. This citrusy, lemony-scented oil, is a known insect repellent, fleas included. This wonderful oil will not only keep fleas away from you and your furry friend but it if you spray a diluted formulation with Lemongrass oil on your pet’s fur, it will make its coat shiny and healthy. What a great bonus for a flea repellent, isn’t it? Another lemony-scented oil, very nice smelling, indeed, Citronella is a Cinderella among fleas. They absolutely hate it so they stay away from it. That is why Citronella is found in insect repellent candles, outdoor lamps, and torches – because it is one of the most powerful insect repellents. It repels mosquitoes, flies, and ticks, too. Tea tree is a fantastic antibacterial, antiseptic, antifungal, and antiparasitic oil. The terpenes compounds in tea tree make it an unbeatable flea repellent. Because it is very powerful, always use it highly diluted. Rosemary oil has antiseptic, antimicrobial, and anti-parasitic properties and a strong woody, evergreen scent. Also, it has active compounds that help soothe and heal flea bites. At the same time, it makes the house smell fresh. Despite being thick, viscous, and brownish in color, and having an unpleasant smell, Neem is a fantastic flea repellent. Because of this not-so-nice odor, you may want to add to it other scented essential oils to mask it. Great to use in combination with a light carrier oil to dilute and thin it. No more fleas jumping up and down on you. Essential Oil Infused Brush – Spray the steel brush with which you groom your pet with a diluted essential oil solution before you use it on your furry friend. The Bucket Battle – Fill half a bucket with water (10 liters) and add 100 drops of essential oils that repel fleas. Use one of the blends we suggested earlier or use just one essential oil, such as Cedar oil. Then, let the battle against fleas begins. Mop the floors and tiles in your house like there’s no tomorrow, either to prevent a flea infestation or (if it’s too late for that, as you already are in a middle of a flea invasion) to repel and kill existing fleas and their eggs. Flea Protection Collar with Essential Oils for Pets – apply a few drops of diluted cedar oil on the outer side your pet’s collar. Let it dry for 30 minutes, then put it back on your pet. Spray to Keep Fleas at Bay – mix 1 cup of vinegar with 3 cups of water and add 35 drops of Cedar oil, 10 drops of Lavender, and 10 drops of Lemongrass. Then spray everywhere in your house: beddings, floors, tiles, pet’s bed, etc. Flea Repellent Body Oil – Mix a carrier oil such Coconut oil with a couple of drops of essential oils. Play with various combinations until you have one that you like since all these oils have flea repellent properties. Now you have your own personalized flea repellent body oil. Flea Repellent Butter – I won’t tell you to spread a flea repellent on bread and eat it. Mix Shea butter with a couple of drops of flea repellent essential oils (use a hand mixer for that) and then rub it on your body to keep the little biters away from you. Shampoo + Essential oil = No fleas. Add 1-2 drops of essential oil in your pet’s shampoo to enhance it with flea repellent properties. I couldn’t find any reason why not. Instead, I found many reasons to use essential oils as flea repellents. Why? Completely natural and pure, plant-based, and steam extracted. Safe for you, kids, pets, and the environment. Safe to use on your skin (safe to touch). Safe to inhale (think aromatherapy effects). Safe to use on bedsheets, blankets, and cushions (won’t destroy fabrics and they will smell really nice). 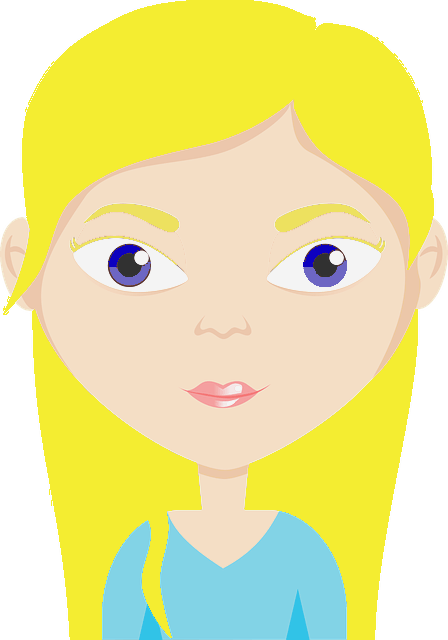 Effective – they repel and kill fleas! Economical, compared to those expensive flea control products. Pleasantly scented, compared to the chemically smelling flea repellents on the market. Say goodbye to the horrible, chemical smell that lingers long after you’ve used those smelly flea solutions. Essential oils leave behind pleasant (and healthy) scents that have aromatherapy benefits. Known for their numerous health benefits. Each essential oil helps to treat various diseases. Make sure you always buy 100% natural, pure, therapeutic grade essential oils from certified sellers that have been steam distilled from plants. Don’t mistake essential oils for the so-called fragrance oils, fragrances, or aromatic oils, which are synthetic fragrances. These not only are artificial, but they also have damaging effects on people and animals’ health. Essential oils should always be used diluted with a light carrier oil, such as Grapeseed oil, Coconut oil, Almond oil, etc. Dilute essential oils with alcohol (or Witch Hazel) and distilled water. Alcohol will emulsify (dissolve) the essential oil particles. Check with your doctor and veterinarian before using essential oils that repel fleas on you or your pets. Want to get rid of fleas with a natural, simple, and fast acting ingredients, have health benefits, and smell great, too? Use essential oils with flea repellent and killing properties! There are many such essential oils for fleas that you can use in various recipes. You will be very pleased with the results. Have you already used these home remedies and essential oils to repel fleas? Share your great story with us in the comments below. I was hoping to find recipes as I tend to make things to strong.